During the last new inventory of the collection from 2005 to the end of 2006, more than 100,000 objects were registered and entered in a database. In the course of this, the stock was divided into 15 collections. These are self-contained collections of pharmacy items, militaria, theatre and music collections and collections of books, photographs, archives, postcards, graphics, paintings, furniture, coins and medals, objects, plans and sculptures classified according to materiality. The Collection of the GrazMuseum is very heterogeneous in terms of its inventory and its creation. It has not been compiled in a targeted manner, but rather has grown through donations, collections and acquisitions. In many cases, its growth was driven by special exhibitions. In recent years, a collection strategy has been developed with the aim of sharpening the collection profile, further expanding strengths and closing gaps. Here you will find a small cross-section of the 15 collections and 100,000 objects of the GrazMuseum, which are located in the depots and are shown in exhibitions. You can expect one of the few preserved medieval court representations in Europe, the oldest stamp of the city, a model of the old town hall, portraits of rulers and Graz citizens, views of the city in graphics and photographs, documents of industrialisation, testimonies of war and reconstruction, sources of women’s history and much more. 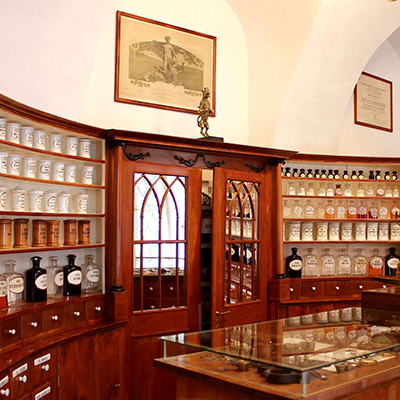 The historical collection of pharmacy items at the GrazMuseum contains about 2,300 objects. In addition to pharmacy and laboratory equipment, the collection also includes pharmaceutical specialities such as “thorn apples” or a “viper cord” from the 18th century including packaging and instructions for use. The extensive stock of drug packaging, labels and receptacles for drugs primarily documents their production in Graz. The majority of the objects can be viewed in the permanent collection on display of the Pharmacy Museum. The collection of archival documents contains around 7,400 written and pictorial sources from the 16th to the 21st century. 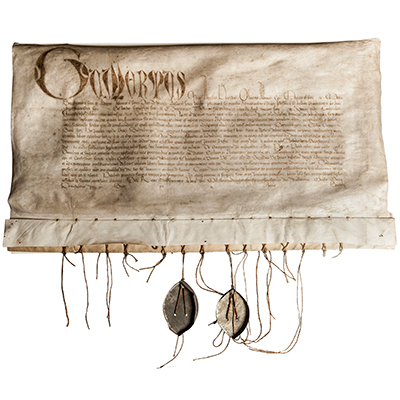 The collection includes and citizenship and craft diploma, certificates and awards, diaries, manuscripts, estates of important Graz citizens and other cultural-historical documents. Printed materials such as announcements, newspaper clippings, calendars, documents on Graz companies, advertising leaflets and flyers also take up much space. The collection of postcards (used and unused) comprises around 29,000 items and contains views of places in Austria and the whole world. It documents both the motivic-thematic and technical development of the medium. Its core are the approx. 9,000 views of Graz, which can also be seen online. First and foremost, they feature topographical representations: streets, alleys and squares, green spaces or public buildings, but also events in Graz. The time focus lies between 1900, when postcards became a mass phenomenon, and the 1920s and 1930s. The collection of books before 1850 is part of the Library. The approximately 200 copies are legal texts from the reign of Emperor Joseph II and Emperor Franz I, editions of the Grätzer Taschenkalender as well as the Grätzer Zeitung and topographical descriptions of the federal state of Styria and the city of Graz. A special item is Wenzel Sponrib’s description of the wedding celebrations of Archduke Charles II of Inner Austria with Maria Anna of Bavaria in 1571. The photographic collection consists of approximately 20,000 individual items. Most of them date from the second half of the 19th and first half of the 20th century. 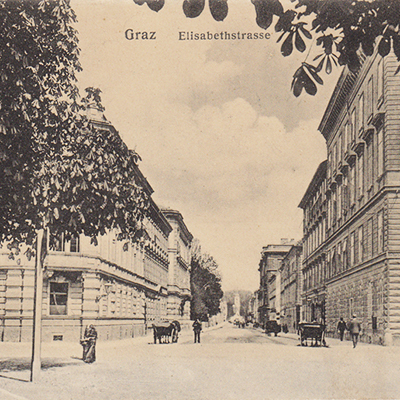 In line with the museum’s collection focus, the focus is on the city of Graz. An important part of this collection is the documentation by the professional photographer Leopold Bude (1840-1913) of the profound urban renewal at the turn of the twentieth century. The collection also includes art photography, historical family and portrait photographs, but also documentation photos of objects in the collection, exhibitions and events of the GrazMuseum. The graphic arts collection spans a period from the 18th century to the present, with the focus on works from the 19th and early 20th centuries. 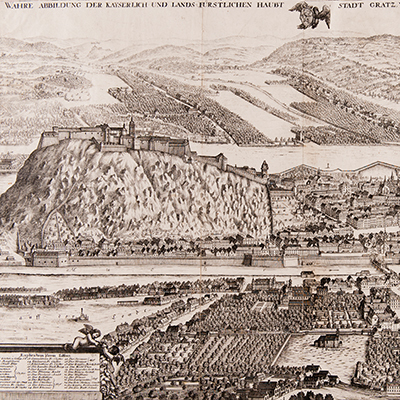 17,000 sheets result in a pictorial memory of Graz in the form of classical techniques up to contemporary computer-assisted prints. With regard to content, the focus is on city views, portraits and advertising graphics. Well-known artists are represented with individual sheets as well as with collections, including Norbertine Bresslern-Roth, Anny Dollschein, Hubert Hoffmann, Renate Krammer, Vinzenz Kreuzer, Josef Kuwasseg, Fritz Silberbauer, Oskar Stössel, Wilhelm Thöny, Georg Matthäus Vischer, Hanns Wagula and Josef Wurm. 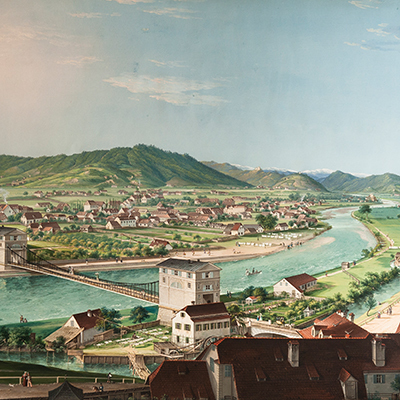 The collection of paintings includes historical views of the city, for example of Conrad Kreuzer, as well as portraits of well-known personalities from Graz. The 900 paintings are mainly by Graz artists such as Elga Maly, Conrad Kreuzer, Wilhelm Thöny, Fritz Silberbauer or Fred Hartig. 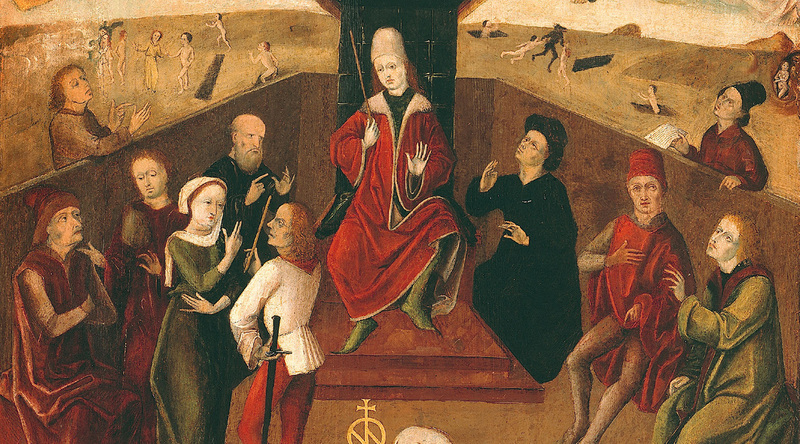 The heart of the collection is the Court Tableau of the City Judge Niclas Strobel from 1478. It is one of only four representations of the law of this period still preserved in Europe and a valuable source of legal history documenting the course of late medieval court procedures. 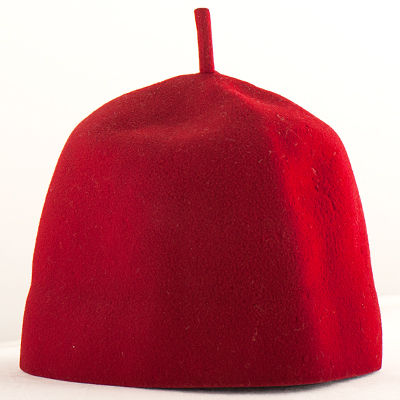 The approximately 9,100 objects in the militaria collection date mainly from the 19th and 20th centuries. Uniforms and arms of the Imperial and Royal army until the Second World War are supplemented by items of equipment, maps, photographs and archival documents. A small part of the collection is dedicated to the Imperial and Royal Navy. One focus is the memory of the local regiment from Graz, the Imperial and Royal Infantry Regiment „König der Belgier” No. 27. The furniture collection contains around 200 pieces of furniture from the Baroque period to the early 20th century. Of particular interest is furniture from the possession of well-known personalities such as Robert Hammerling, Peter Rosegger and Bruno Ertl. There is also furniture designed by the architects Georg Hauberisser, Herbert Eichholzer and Anna Lylia Braun. A special feature is the interior design of a former tobacco shop in Herrengasse, manufactured by Anton Irschik’s joinery. 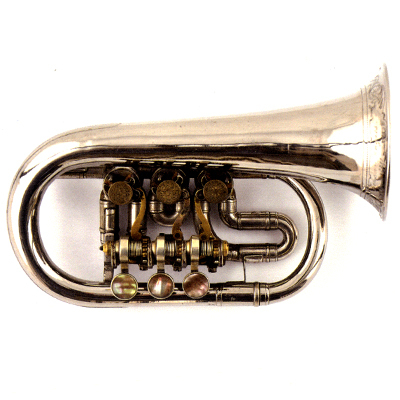 The collection contains 6,700 musical items related to Graz. It includes printed music/music manuscripts by composers Wilhelm Kienzl, Josef Gauby, Anselm Hüttenbrenner, Robert Stolz, Josef Marx and the military bandmaster Eduard Wagnes. Furthermore, there are scores of works of music literature performed in Graz, play bills and programmes of the Graz music institutions, photographs of performances and composers, sound recording media and musical instruments. Among the approximately 200 medals and commemorative coins are mainly commemorative medals of Graz personalities and important events in the history of the city. 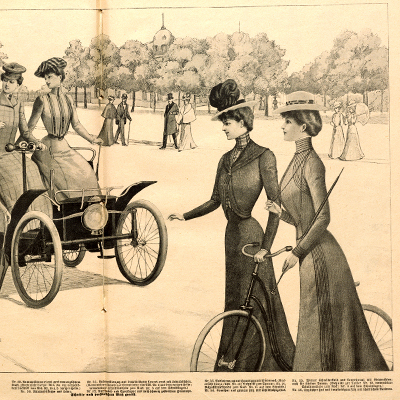 For example, the 12th National Festival of the German Cyclists’ Federation in Graz in 1895. 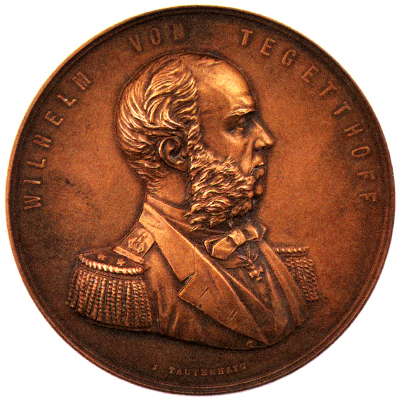 Medals of the various state exhibitions, agricultural exhibitions and animal breeders’ associations point to flourishing agriculture in the Styrian state capital of Graz in the past. 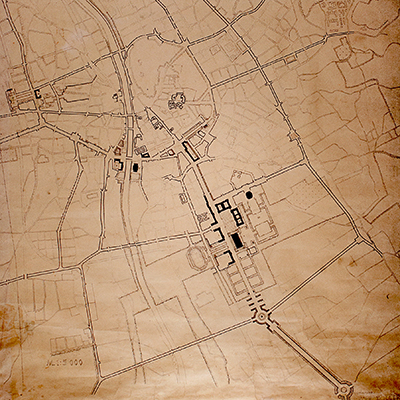 The collection contains around 4,400 building plans, city maps, technical drawings, graphic representations and original drawings since the 18th century. Among the valuable sheets are plans and drawings by famous architects such as Leopold Theyer, Georg Hauberisser, Rudolf Hofer, Hans Hönel and Peter Koller. Plans by the theatre architects Ferdinand Fellner and Hermann Helmer are also in the collection. The collection comprises around 400 sculptures and statues from the 16th century to the 20th century. Sacral art, plaster and monument models, full-figure portraits and portrait busts provide an insight into the output of urban art production. More than half of the collection consists of portrait busts of well-known people from Graz such as Peter Rosegger, Dr. Wilhelm Fischer, Gustav Starke, the long-time mayor Vinzenz Muchitsch, Alois Hergouth and Alfred Kolleritsch. 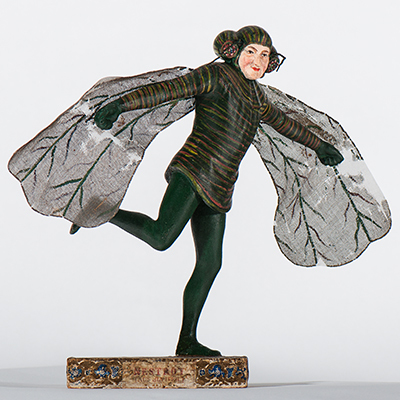 The collection covers items from the history of theatre in the 19th and 20th centuries with a focus on Graz. These include play bills and programmes, photos of roles and scenes, costume and stage designs, placards, posters and decorations. 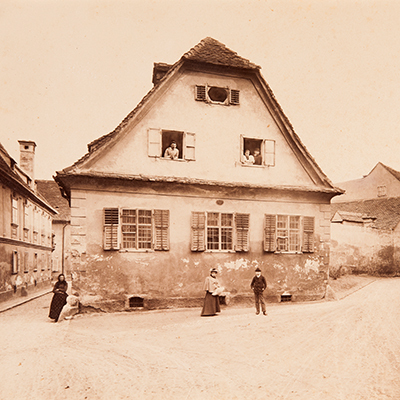 One of the most valuable objects is an album from 1857 with role and portrait photographs of Johann Nestroy. 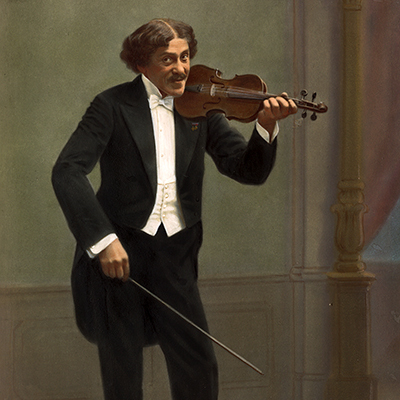 The Alexander Girardi Collection is also of great cultural and theatre historical importance. In addition to private souvenirs, documents, correspondence and photographs, the approximately 1,700 pieces in the collection also include role pictures, playbills, stage costumes, newspaper clippings, correspondence cards and autographs of the artist.